What's This Thing Called a Monkey Orchid? In 2012, a strange photo began making the rounds on the internet. 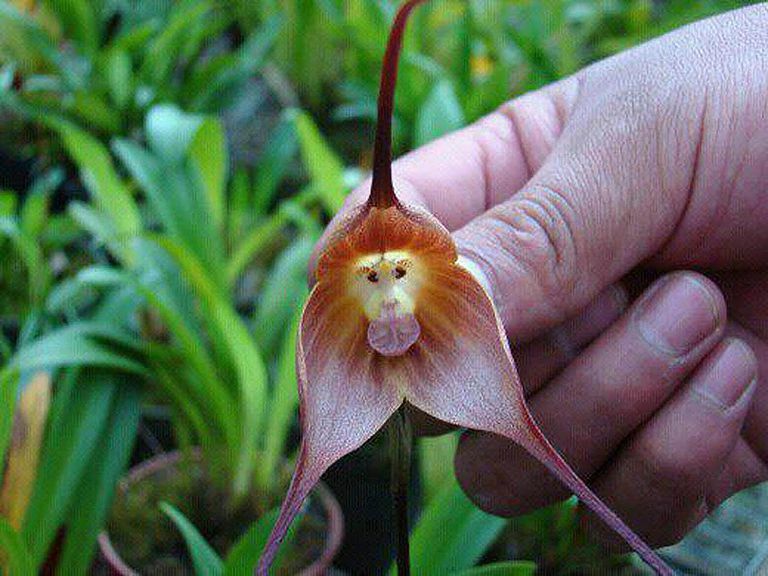 It shows a flower — specifically an orchid — that looks just like a monkey. People have been attaching the photo to emails and then commenting on it, describing the plant's supposed origin in the Andes, and even its classification. Read on to discover the details behind the photo, what people have been saying about it, and the facts of the matter. Its scientific name is Dracula simia, the last part nodding toward the fact that this remarkable orchid bears more than a passing resemblance to a monkey’s face —​ although we won’t go as far as to be species specific on this one. The Dracula (genus) part of its name refers to the strange characteristic of the two long spurs of the sepals, reminiscent of the fangs of a certain Transylvanian count of film and fiction fame. The photo is real — this orchid does exist, and the colorful center of the flower does resemble the face of a monkey or baboon, but the above explanation only partly correct. The actual species name of the flower is Dracula gigas (Dracula meaning "dragon," gigas meaning "giant"), not, as claimed above, Dracula simia. Though the latter is a real species too, and its flower also resembles a monkey face (as do several other members of the Dracula genus), it's not the same orchid pictured above. Nor, despite its appearance, is the common name of the flower in this picture "Monkey Orchid." That distinction belongs to yet another species, Orchis simia, whose purple flowers resemble a monkey's torso. To complicate matters, there is also a "Monkeyface Orchid," Platanthera integrilabia, so some confusion on the point is understandable. There are over 20,000 species of orchids, many of which are visually reminiscent of other creatures and inanimate objects, both natural and manmade. "Orchids have diverse and unflowerlike looks," observed Susan Orlean in her 1988 book, The Orchid Thief. 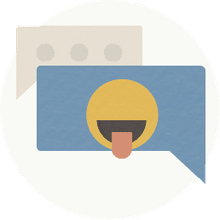 "One species looks just like a German shepherd dog with its tongue sticking out. One species looks like an onion. One looks like an octopus. One looks like a human nose. One looks like the kind of fancy shoes that a king might wear. One looks like Mickey Mouse. One looks like a monkey. One looks dead."